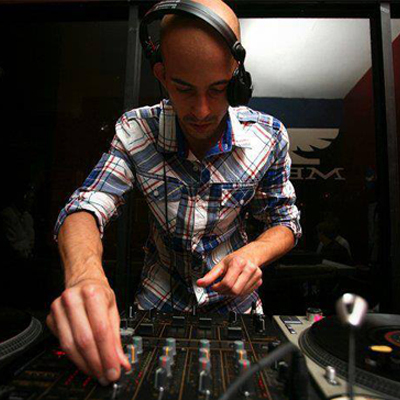 Drum and Bass veteran Jo-s has been active in the electronic music industry since 1995. His start began in the New York City scene where he cultivated a highly respected following as a Drum and Bass DJ and Producer. In 2001 he re-located to Los Angeles where his talents began to manifest in a myriad of ways. His professional tenure solidified his position as an internationally recognised artist who is currently gaining notoriety for his vocal aesthetic. Jo-s revealed his talents as a Vocalist in 2009 with Netherlands based producer Lenzman on a track entitled “Emeralds” for Shogun Ltd. The release sold out within days and became a #1 seller on Beatport. Since then his vocal talents have appeared on heavyweight labels such as Hospital, Metalheadz, Soul:r and Subtitles with more to follow. A recent collaboration with Eveson entitled, “Time Flows By”, is receiving heavy support by Bailey and Fabio on the BBC, as well as Bryan Gee who subsequently signed the song to V Recordings as part of Eveson’s album “Summer of Love”. His latest collaboration with S.P.Y. entitled “Future Tense” is also available right now on Hospital Records. As a Producer, his earlier productions played an integral role in the development of Rawkuts Records, a division of the now defunct hip-hop label Rawkus. Shortly thereafter in 2002, Taciturn Records released his debut album through Sony RED distribution entitled “Firing Pin” which featured 13 original Jo-s tracks. After releasing “Ceilings / Manipulation” on Peer Pressure Recordings, Jo-s is now back in the studio cultivating new, original material. Jo-s is currently available for national and international tour dates.